What could be more reassuring than being able to entrust your vehicle to a team of auto mechanic experts? Rest assured, such a team exists and is located in the Vaudreuil-Dorion region where it has been for the past 40 years. At Pharand Autos & Camions, you will find the comprehensive expertise you need for the mechanical inspection and auto repair. At any time, car problems can arise. You are then faced with quickly finding an auto garage you can trust which offers complete auto mechanic services. Look no further. 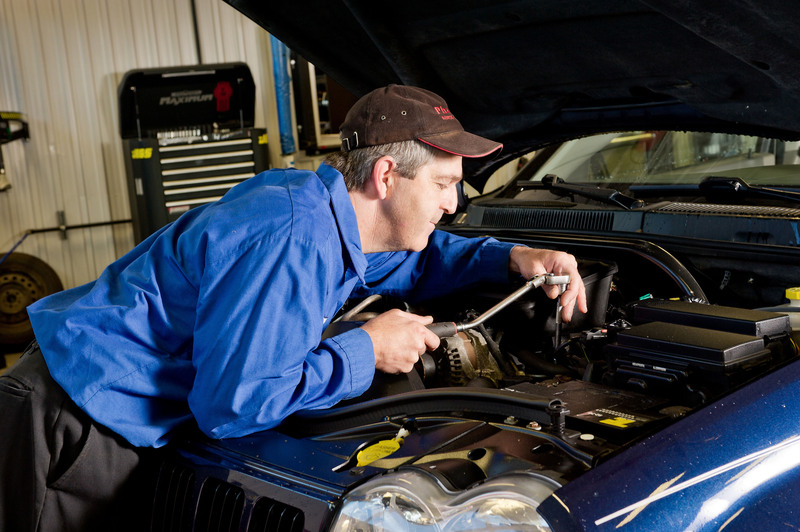 Our garage has a team of experienced mechanics able to accomplish any type of auto repair and maintenance. Our mission is to offer customers the best service in car maintenance and auto repair in Vaudreuil-Dorion. To ensure safe driving and to prolong the life of your tires, your car’s alignment must be precisely adjusted. That’s why you should only entrust this task to a reliable auto garage. Thanks to our high-tech Hunter Engineering Wheel Alignment System, our auto garage can guarantee a job well done. A good suspension on your truck or car is an essential component for ensuring a comfortable ride. It also improves road handling and increases braking safety. It is therefore necessary to properly maintain your vehicle’s suspension. Our suspension repair and modification service is specifically designed to maximize your driving comfort and safety. In terms of safety, it’s essential to be able to count on a braking system in perfect condition. If you’ve noticed that your brakes lack precision, that your car vibrates when you brake, that the brake pedal sinks too deeply, or that your brake fluid level is too low, it may be time to have them checked out in a garage. At Pharand Autos & Camions, we can do the required repairs on all types of brake systems. Regular brake maintenance will help prolong the life of your ABS braking system (brake pad and shoes). Your air conditioning system should be able to keep you cool even under excessively hot tempuratures. If your vehicle’s air conditioning system is no longer able to deliver the usual coolness or if it’s beginning to emit a suspicious odour, something’s wrong. Our auto garage in Vaudreuil-Dorion has several decades of experience in air conditioning maintenance and repair. So, you can count on us to resolve the issue. Your vehicle needs a well-tuned engine to operate properly. That’s why it’s important to schedule regular engine maintenance by professionals. In our auto garage in Vaudreuil-Dorion, our mechanics will perform a comprehensive tune-up that covers everything from checking the ignition system to cleaning the fuel injectors. This will help you reduce your fuel consumption and let you enjoy greater peace of mind at the wheel. You must change the oil in your vehicle regularly to prevent premature engine wear. It can also enable the early detection of certain mechanical problems. Carrying out this regular maintenance will prolong engine performance, resulting in greater road safety and reduce engine wear. In order for your vehicle’s suspension to function properly, your shock absorbers must be in good condition. They not only increase your comfort, they also contribute to your safety on the road. In addition, good shock absorbers will help your tires last longer. And this is true for both cars and trucks! Regular inspections of your shock absorbers by specialists in a garage allows for any issues to be detected. As a major auto mechanics centre in the Vaudreuil-Dorion region, we make a point to offer our customers superior quality car parts and accessories. Our auto garage Pharand Autos & Camions is constantly on the lookout for the latest market trends and innovations. For instance, we use Moog steering parts, a world-renowned brand known for its quality products. This enables us to provide our customers with the best suspension and steering parts on the market. We also offer a full range of Monroe shock absorbers, all guaranteed for life. 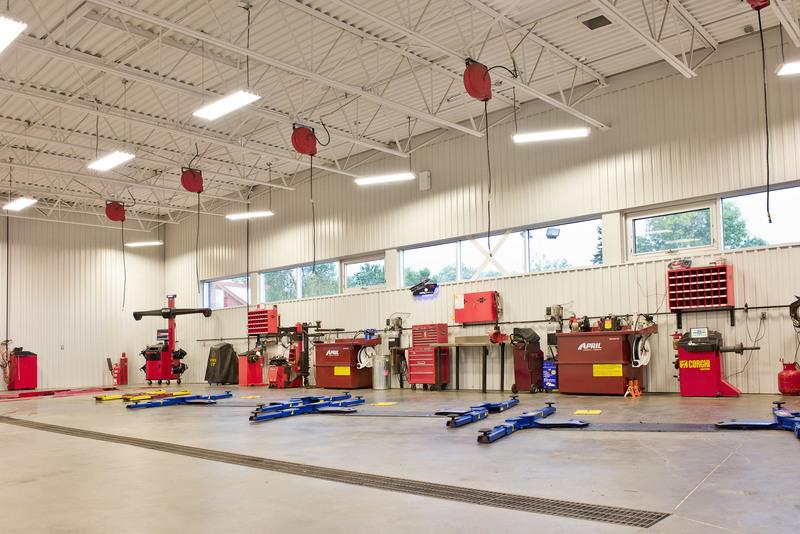 Thanks to our experienced team of mechanics, our auto garage in Vaudreuil-Dorion is able to offer our customers first-rate services ranging from occasional to regular mechanical inspection. We know car alignment and auto mechanics inside out! Doesn’t your vehicle deserve the attention of an expert team of auto mechanics? That’s why our auto repair centre is worth the detour! Pharand Auto in Vaudreuil-Dorion offering tire services and general mechanics : brakes, suspension, alignment, etc. Sale of used cars and trucks.